After: Jess is alone. Her cabin has burned to the ground. She knows if she doesn’t act fast, the cold will kill her before she has time to worry about food. But she is still alive—for now. Before: Jess hadn’t seen her survivalist, off-the-grid dad in over a decade. 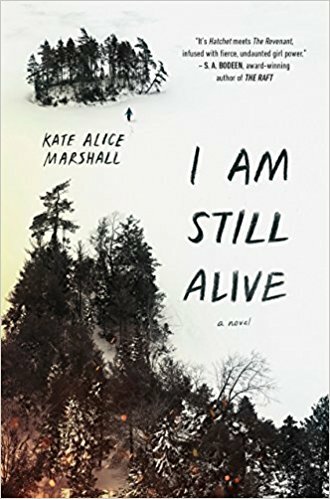 But after a car crash killed her mother and left her injured, she was forced to move to his cabin in the remote Canadian wilderness. Just as Jess was beginning to get to know him, a secret from his past paid them a visit, leaving her father dead and Jess stranded. After: With only her father’s dog for company, Jess must forage and hunt for food, build shelter, and keep herself warm. Some days it feels like the wild is out to destroy her, but she’s stronger than she ever imagined.